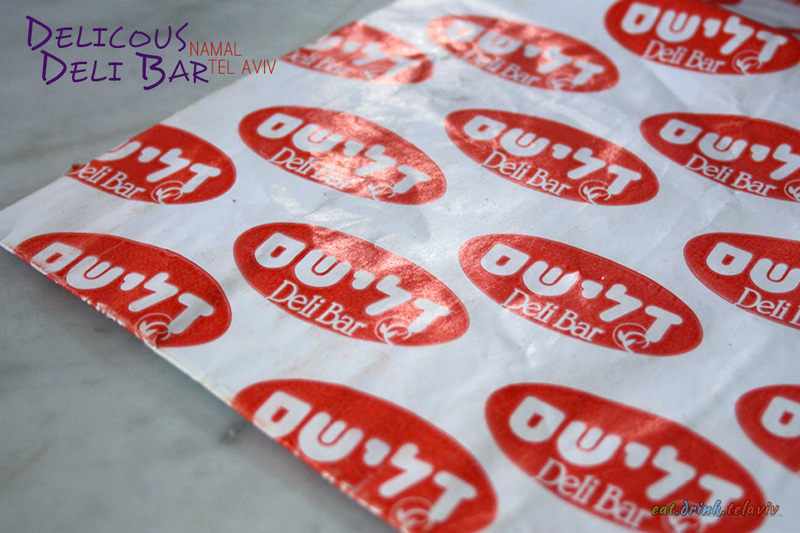 Delicious Deli Bar – דלישס-בר בשר. Wars fought in the Middle-East region are aplenty, but one war rages on with very little worldwide interest. A lot of blood has been spilt*, friendships have been destroyed, and the court of public opinion in Israel stretched to its limits. I’m speaking of the The Burger Wars. 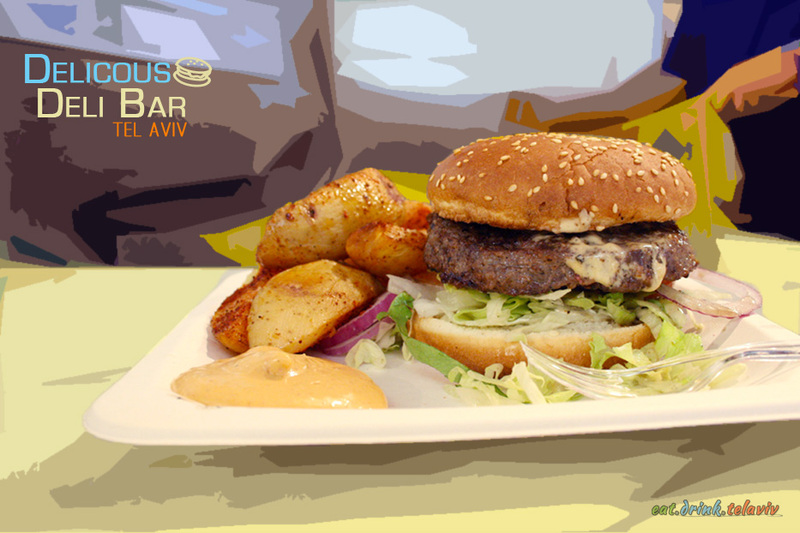 There are plenty of Burger spots to choose from: Vitrina, Shusha, Magic Burger, Buddha Burger (vegetarian), the relatively new Gourmet 26, chain restaurants Agadir, Moses, Wolfnights and Ad Haetzem Express. Even casual and high-end restaurants are all about the burger including The Diner, R&M’s Coffee Bar and Brasserie, and actor Jessica Biel’s favorite North Abraxis. 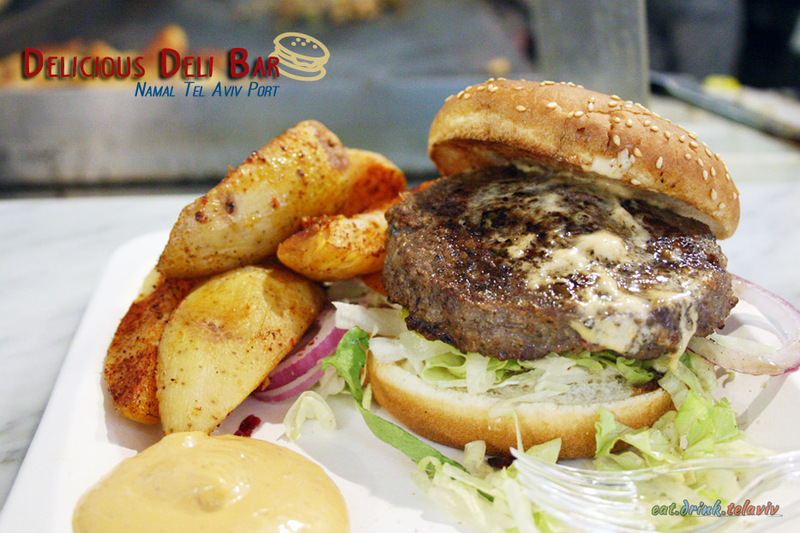 However, while many of these are excellent places to indulge in the ritual known as “eating a hamburger” we submit to you the Delicious Deli-Bar at the Port of Tel Aviv (Namal Tel Aviv.) 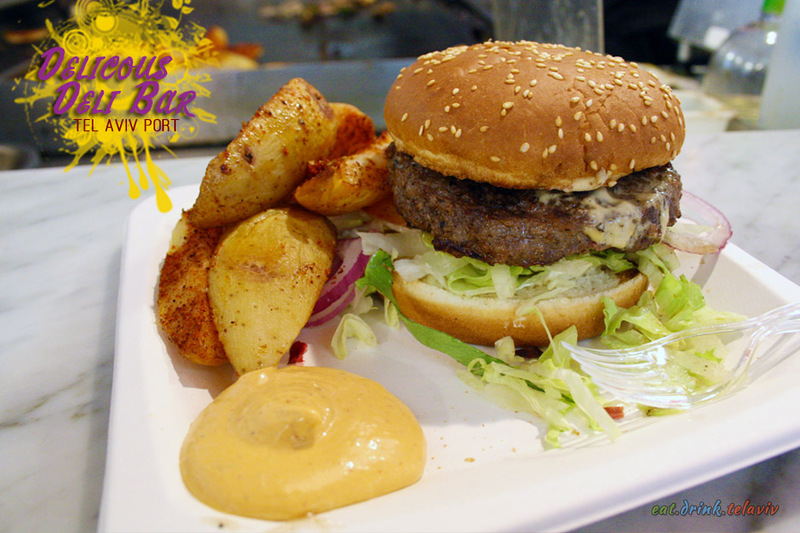 This no-frills burger joint is a simple wraparound counter in the middle of the busy and bustling Tel Aviv Farmer’s Market that offers delicious mouth watering hamburgers and a side of home-fries; thick, lightly spiced potato wedges that will warm your soul. 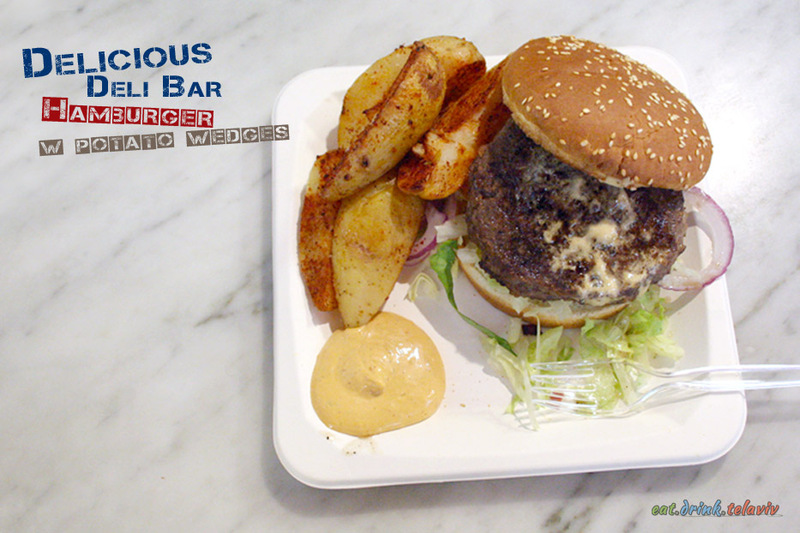 Reminiscent of a typical no-nonsense small-town American diner, with ketchup on the counter, napkins at the ready, and round stools just waiting to be sat on, Delicious Deli Bar is a burger-lovers dream. Patties freshly grilled right before your eyes, the scent of grilled onions wafting through the surrounding environment. Seating is precious, but once you manage to scoot onto the soft stool and the burger is placed in front of you nothing else matters. Time stands still, the sounds of the market drift away. What’s left between the toasted bun that locks in the precious juices is a truly satisfying hamburger. Your tastebuds will thank you, your mouth has experienced umami. And your burger battle is done, so if you do not mind, please leave as soon as you can there are plenty of people waiting to take your spot. Top 5? Ain’t nobody got time for that. 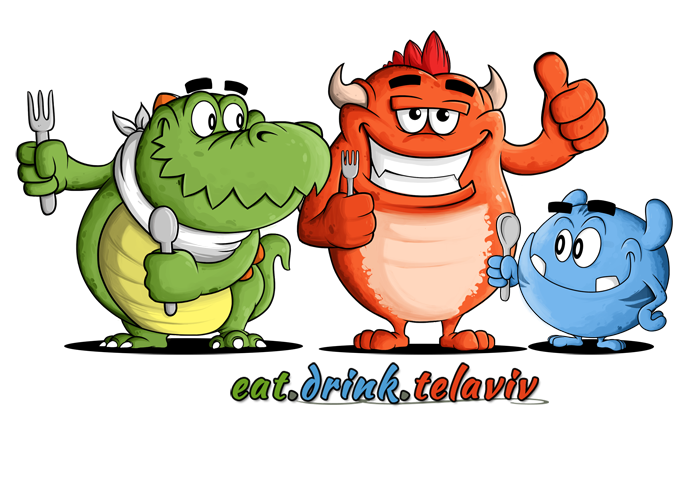 Check out our Guide to Tel Aviv Burgers, a fun look at the who and why of visiting certain Tel Aviv restaurants.